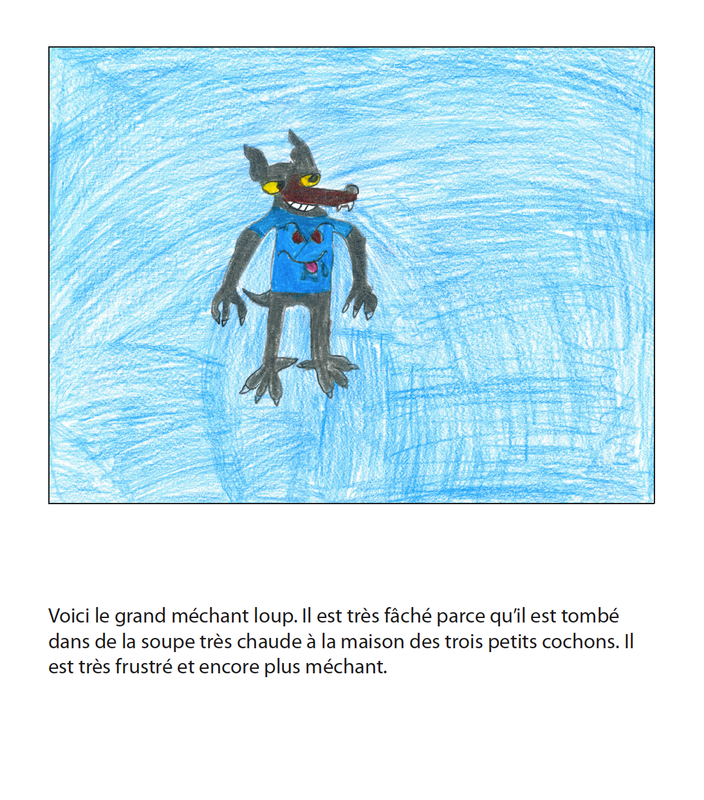 This is a story combining some well-known characters found in AIM plays: Le grand méchant loup, Les trois petits cochons and Louis la grenouille! 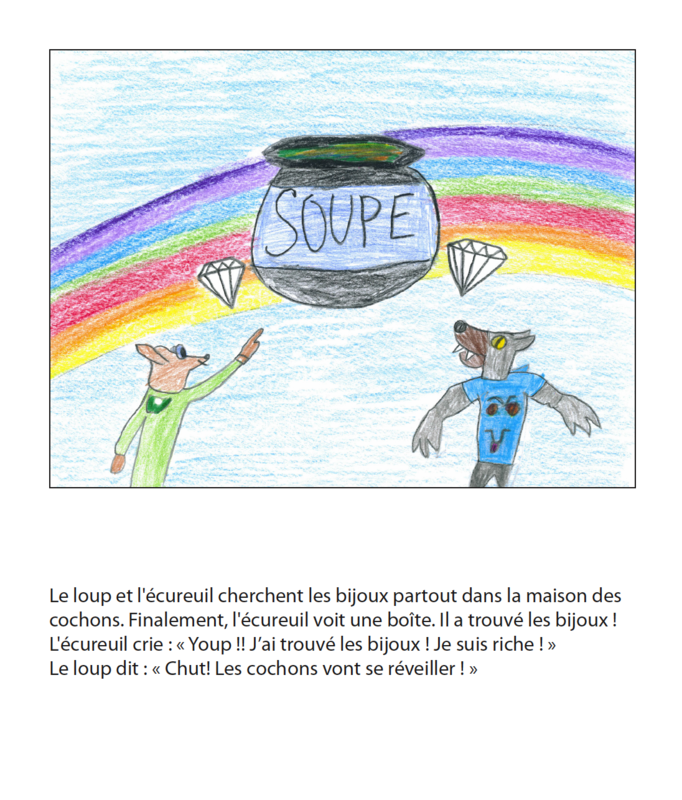 The wolf decides to take revenge on the three pigs as a result of having fallen in their soupe. He befriends a squirrel and they work together to take something from the pigs home. 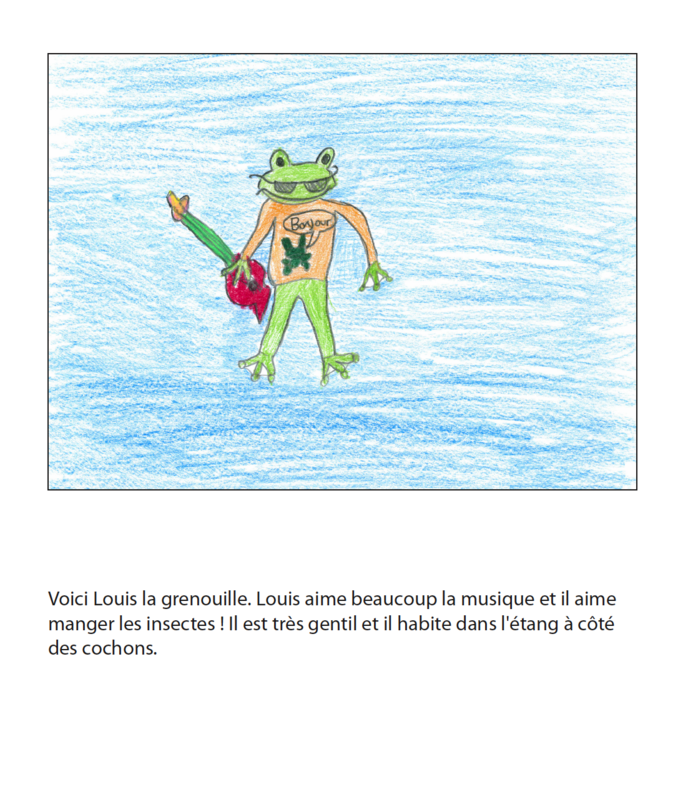 Louis sees what has happened and helps the pigs and the wolf come together to discuss what has happened. 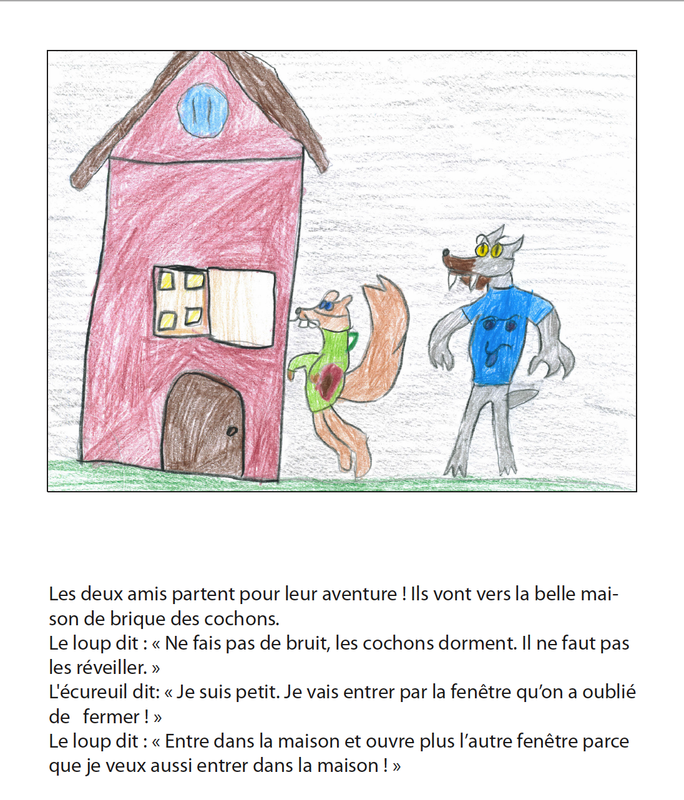 The story finishes with a nice moral learned and a happy ending!